On Sep. 21, the 1st Forum for China’s Internet of Energy Industrial Leaders in 2016, the Figure of the Year in China’s Energy Industry in 2016, and the Most Influential Enterprise in the Internet of Energy Field, themed by “Guidance of Energy and Promotion of Internet” was held in Beijing. Over 200 government officials, industrial experts and corporate representatives gathered together to jointly discuss the development. 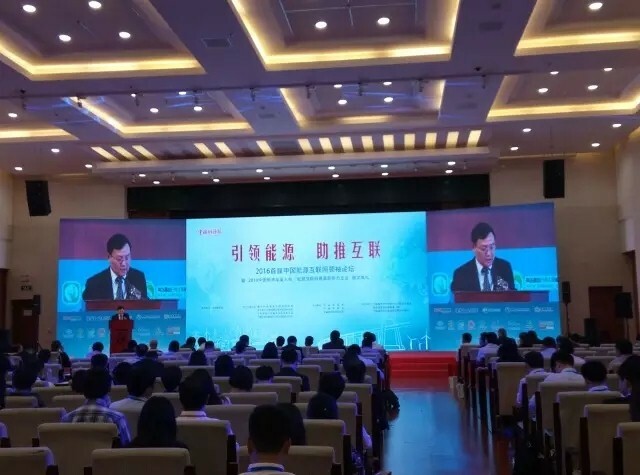 Sponsored by China Energy News, this forum was intended to further strengthen the understanding of the Internet of Energy field, remove development obstacles and propel the industry onto a good and rapid development path. Zhang Jianxing, vice president of the People’s Daily, Tong Guangyi, director of the Power Safety Supervision Bureau of the National Energy Administration, Zhou Xiaoxin, academician of Chinese Academy of Science, Han Yingduo, academician of Chinese Academy of Science, Tang Yuan, director of the Research Office of the State Council, Ci Song, chief scientist of the Strategic Research Topic Team for China’s Internet of Energy, National Energy Administration, Alexey Gromov, executive president of Russian Energy Finance Research Institute, and many an industrial representatives attended this forum. Against the support of the national policies, an array of enterprises of vitality and innovative spirit has showed up during the development of the Internet of Energy industry. As carriers of industrial innovation and practice, energy companies have made constant, remarkable progress to promote the implementation of the Internet of Energy. In the meeting, nearly 100 authoritative experts from the government institutes, industrial associations, standard makers, universities and media voted to select five prizes, i.e. 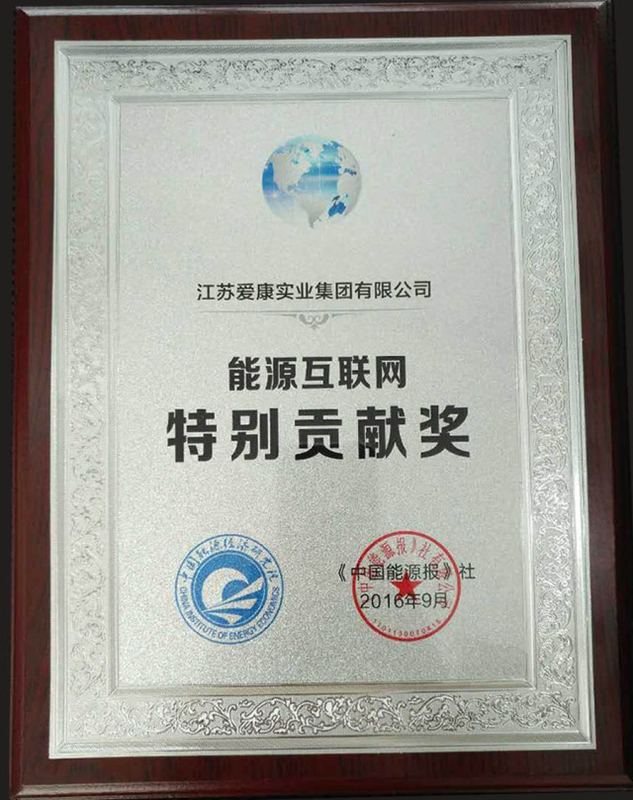 the Most Influential Enterprise in the Internet of Energy Field, the Special Contribution to China’s Internet of Energy Industry, the Innovation in Science and Technology in the Internet of Energy Field, the Nova Enterprise in the Internet of Energy Field, and the Pioneer in Low-carbon Travel in the Internet of Energy Field. 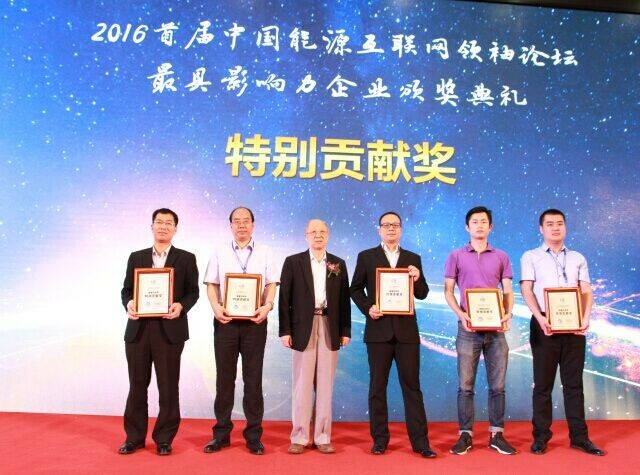 Thanks to its innovative strategic positioning of “Energy + Internet + Finance”, Akcome Group was awarded the prize of the Special Contribution to China’s Internet of Energy Industry. Akcome Group created an intelligent green energy eco-system, contributing to sustainable development of the society. In 2015, Akcome launched the 3rd major strategic transformation to focus on “Energy + Internet + Finance”. In 2016, the group officially proposed to start the era of Internet of Energy. Akcome Group will center on the Internet of Energy to promote the reform in the mode of energy production and consumption, and adopt the Internet, big data and inclusive new financial services to create the energy production end and consumption end, thus offering innovative new energy solutions to the society, enterprises and end users.